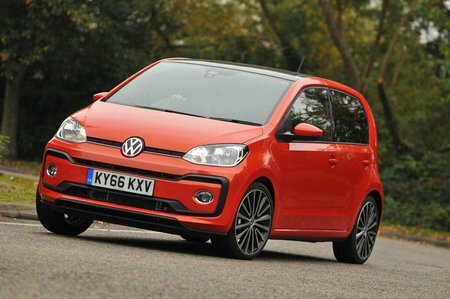 Volkswagen Up Boot Space, Size, Seats | What Car? 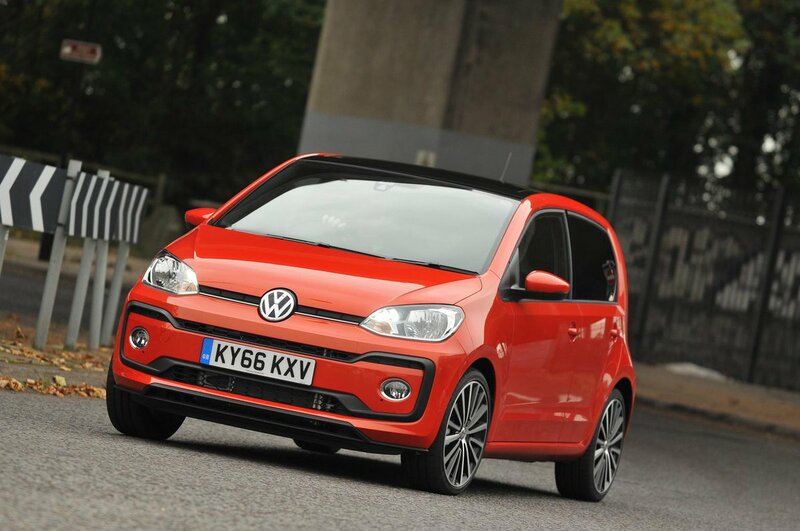 For such a small car, the Up is certainly spacious in the front. There’s lots of leg room for tall adults and head room is equally generous. There’s plenty of room for elbows, too. Storage space is impressive, with wide, deep door pockets and a single cupholder located centrally at the bottom of the dashboard. A small shelf dividing an open-faced cubbyhole is another practical touch. The Up’s glovebox provides enough room for the car’s manual, but not much else. The Up's boxy dimensions mean the roof doesn’t taper towards the rear of the car, so there's almost as much shoulder room in the back as there is in the front. 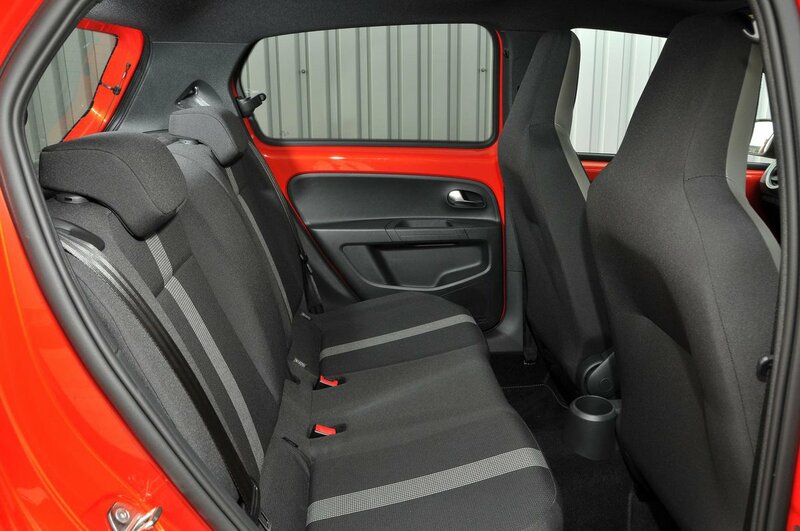 Head and leg room are reasonable by the standards of the class, although if you plan to carry adults in the back on a regular basis the Hyundai i10 is a roomier option. That car also has three seatbelts in the back, whereas the Up only has two. Rear access is decent in the five-door version, and both rear passengers get a thoughtfully positioned armrest, although there’s only one cupholder. The Up’s rear seatbacks fold flat as one piece if you opt for the entry-level Take Up model, but Move Up trim and above gets you 60/40 split-folding rear seats. The Up used to be available with an optional folding front passenger seat that allowed you to carry really long items, but disappointingly this is no longer offered. Height adjustment of the front passenger seat is a cost option on every Up except Take Up and e-Up versions. The Up has a decent enough boot that's usefully square in shape and large enough for a few shopping bags or a couple of soft luggage cases. However, the rival Kia Picanto has a much bigger load bay so is a better choice if you need to carry lots of luggage. Move Up and High Up models benefit from a standard height-adjustable boot floor, allowing you to keep fragile items safely stowed away below a solid removable panel. With the floor in its highest position, there's only a small lip at the boot entrance and no step in the floor of the load bay when the rear seatbacks are folded down. Annoyingly, the parcel shelf isn’t attached to the tailgate, so it has to be raised and lowered by hand.